The Church Relations Committee is a liaison between churches with ministries needs and students seeking a place to minister. Ministerial Alliance (MA), Mission Fellowship (MF), Religious Education Fellowship (REF) or Christian Music Fellowship (CMF) members and others desiring valuable church vocation experience keep a church relations information form on file in the Campus Ministries office to assist the process. The Church relations committee also assists the Campus Ministries office in connecting students with churches. Volunteer students, staff and faculty visit churches to share in their ministries through preaching, leading in worship, special music (vocal and instrumental), teaching Sunday School classes and sharing their testimonies. OBU Day in the church is held on two consecutive Sundays in February. 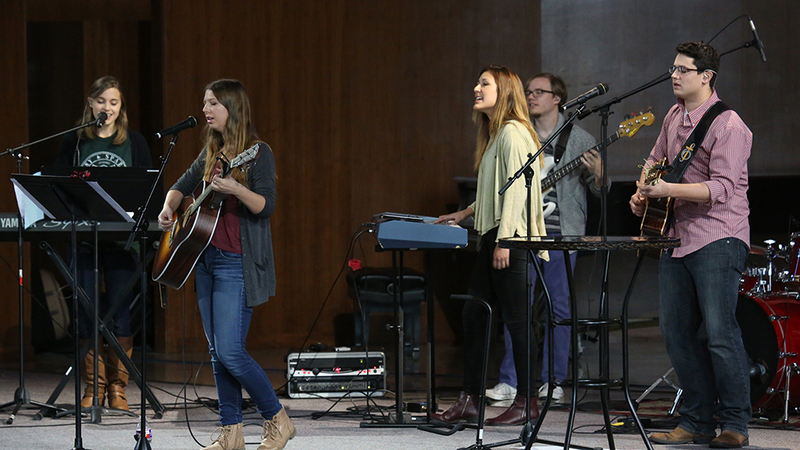 OBU Students form Worship Teams of vocalists and instrumentalists who are interested in supporting churches and ministry events through Worship Leadership. Each year, students are sent to churches from across the region to lead out in DiscipleNow events.